Ming-Ren Publishing officially released the Christian Gospel Mission (CGM) translated version of Woman of Poetry in Taiwan on March 21, 2017. 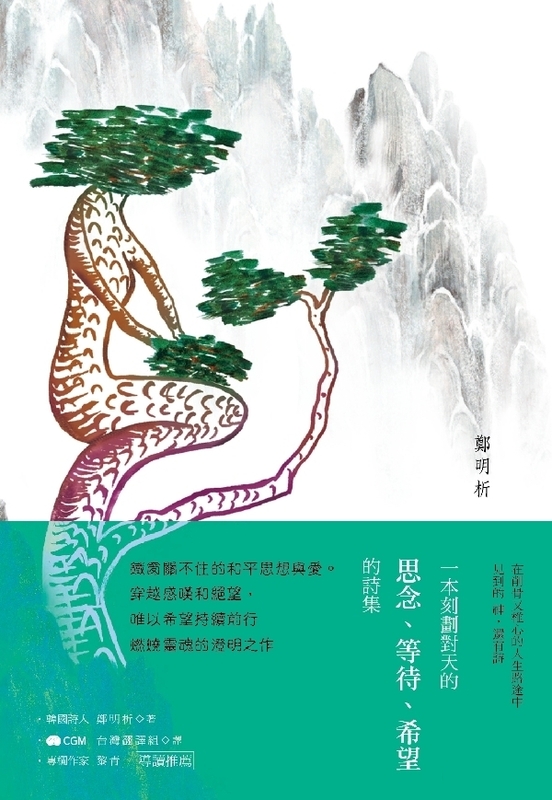 Woman of Poetry is a collection of poems written by Korea’s renowned poet and artist, Jung Myung Seok, and it is the very first "Poems of Inspiration" collection that is published within Chinese literature. Ten of his poems were selected to be part of the “Korean Poetry Compendium” published by the “Korea Centennial History of Poems.” The cover of the collection is Jung’s very own artwork, “Pine Tree on a Cliff.” The posture of this pine tree kneeling down to pray, yet displaying its vibrant green appearance all year long, symbolizes a strong, unwavering heart despite extreme hardship. Seven poems from Woman of Poetry were published alongside the Korean originals for comparison. Each of these poems also has an associated QRcode, to allow readers to listen to the Korean reading of these poems online. Available on the market as of March 21, Woman of Poetry was broadly sold at Eslite Bookstores across the province, online blogs, Kingstone, E-books and major online bookstores. Jung Myung Seok’s Woman of Poetry appreciation event will be held on April 8, 2017 to welcome the active participation of all community members.